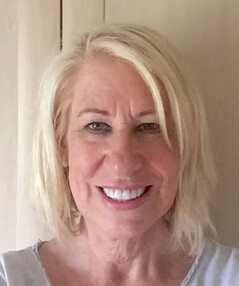 I am Counsellor/Psychotherapist with 16+ years experience of supporting Adults and Young People (12+) with a wide range of emotional difficulties. I hold a Diploma in Counselling and a Masters Degree in Counselling & Psychotherapy. Experience of working with male and female clients, different ethnic backgrounds and sexual identity. I have managed a NHS Counselling Service for 13 years. I offer private counselling and psychological therapies for any emotional difficulty which is having an adverse impact on a person's health and well-being. I have experience of providing counselling via staff occupational health schemes for the private and public sectors. I have worked as a Counsellor in a NHS IAPT Service. I am supportive but challenging and will help individuals set realistic goals to change negative thoughts and behaviours which are causing problems and difficulties. I am easy to talk to and friendly, within appropriate boundaries of practice. I offer an initial consultation appointment - without any obligation, please contact me for more information. No pressure for block bookings of appointments. I hold an Enhanced Disclosure & Barring Certificate. I have completed over 2,000 hours of supervised casework practice. Please either ring or email me any initial enquiry. As I have limited capacity, I may have a waiting list in periods of high demand.